Pastor Fujiyabu will share insights concerning how the gospel can meet the needs of those without hope. Bio: Pastor of the Shirahama Baptist Church, located in Shirahama, Wakayama. The Shirahama Cliffs are famous for suicides, leading the church and Pastor Fujiyabu to an active suicide prevention ministry which has become nationally known. Rarely are Japanese looking for truth but rather an experience–they want to be moved. In honoring this thirst, the often lengthy process of redemption can be amazingly truncated. Discover how! Bio: He was raised in Japan as an MK. He has had a variety of ministries including counseling, evangelism, and producing RiskRider, an evangelistic tool to help those contemplating suicide. He serves as Risk Ride Campaign Director at Cru. Why are the Japanese so hard to lead to Christ? Let’s take a look at some of the major cultural barriers behind their resistance to the Gospel. Bio: She was born in Shizuoka City in Japan and has been living in the US for about 23 years. In 1997, an American woman who was on staff with ISI lead her to Christ and discipled her. Currently Naoko is working in a research lab at Vanderbilt University Medical Center. She is also serving as an administrative assistant for the RJC Academy as well as a Face Book manager of the Pocket Testament League Japan. c) In play – making kanji your friend for witnessing. Bio: Brad is a missionary kid who was born and raised in Japan until he was 17 and is fluent in Japanese. He is currently the Chief Operations Officer of Kaizen Institute, a consulting company with offices in 27 different countries. He also remains an operations consultant in Japan and around the world teaching companies improvement methods. He currently is a member of Setagaya Chuo Church and the father of two children. Bio: He is pastor of Detroit Japanese Christian Fellowship. He was Lecturer of Systematic Theology, and Christian Ethics at Discipleship Training Centre and Head of the Department of Theology at Biblical Graduate School of Theology in Singapore. He received his Ph. D. at Institute for Christian Studies in Toronto (in conjunction with Free University of Amsterdam). Cross-cultural workers often fail because of lack of spiritual readiness (relationship with the Lord), Interpersonal skills (relationship with others), and intercultural skills (cross-cultural competence) rather than academic and technical skills. It is so important to deepen their relationship with the Lord and face up to the emotional and spiritual challenges of living in another culture. It is also important to deepen their understanding and appreciation of people of other cultures. We would like to share these insights in order to make our missionary training successful. Bio: He and his wife have been working with Wycliffe Bible Translators (Wycliffe Global Alliance) for the last 30 years. They served in Indonesia and Philippines as Bible translators, and have filed various roles in the organization in Asia and Internationally. He also served as director of Wycliffe missionary training in Asia. His current role is as a consultant of Diaspora for the Church Engagement Services in Wycliffe Asia-Pacific. In this era of information overload, presenting the Gospel in a “knowledge-based” context is simply stated, largely ineffective. But the careful use of questions has proven to be key in the process of reaching Japanese with the Gospel. This practical seminar will unpack the Why and How of asking effective questions that lead to eternal transformation. Bio: Sylvia and her husband Mark served as missionaries in Japan for 20 years, using music and English classes as ministry tools.. She now serves as Minister of International Ministry at Westminster Chapel. Using music to do ministry (in Japan or anywhere) is about seeing the music as a tool and not the main thing. The main thing is Jesus, and it’s about walking in relationship with him and letting that overflow in the form of music. We will share “nuts and bolts” of using the tool of music such as our experience with making Cd’s in Japan, doing concerts and other music related ministry, while also serving in the local church and in local Christian schools, and much more. Bio: The Ayatsukas have been ministering in Japan with Aroma Ministries since 2000. Their ministry involves music evangelism, relationship evangelism through teaching English and the Bible, and much more. Rocky and Marla will also lead us in worship and music throughout the conference! How To Make The Most Of Websites, YouTube, Smart-phones And Social Networking For The Gospel! Bio: Andy was raised in Bangladesh as a missionary kid. Over the last 20 years he has pioneered new evangelism and church planting initiatives across Japan and with Japanese-speaking communities globally. He was the founder and director of ALPHA Japan (www.alphajapan.jp) from 1998-2008. He now serves as Executive Director of Japan Net. Is it valid for Jews to be called the chosen people today? Does the Bible tell us that the land given to Israel as the Promised Land is still theirs now? What is replacement theology? What is dual-covenant theology? I’ll be reporting on present day Israel, drawing upon my journey there this November, and will explain what the Bible tells us about God’s total plan for salvation of the world through Israel and Christians. Bio: Kyota is pastor of Hosanna Christian Church in Bellevue, WA. He was born in Yokohama, Japan. 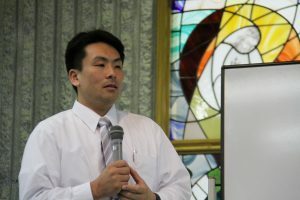 After graduating from Immanuel Bible Training College, He served as a minister for nine years in churches in Mie and Kawasaki before coming to the U.S. as a missionary for Japanese speaking people. He led his church group for the first time to Israel in November 2012. A church that was on the verge of closing ten years ago was able to have a miraculous recovery. After the earthquake, it is shining the light of Christ in the midst of the disaster area. What are the keys for making this possible? Bio: He was born in 1976, in Miyagi Prefecture, which had the most victims of the Great Eastern Japan Earthquake. From 1999, he has been the pastor of Oasis Chapel Rifu Christ Church in the town of Rifu, Miyagi. He is also the Representative for Oasis Life CARE, a disaster area relief organization. www.oasislifecare.org. Did you know that Japanese are 30 times more receptive to the Gospel OUTSIDE of Japan? (No scientific proof.) However, when they return, 70-80% disappear from Christian fellowship. We can do something about this! We need to be proactive not only in evangelizing them, but in preparing them for their lives in Japan so that when they return, they don’t become survivors of faith but become ambassadors for Christ to bring His love, hope and peace to Japan. How can we better help ourselves so that we can minister to them before they return? What can we do after they return? Bio: Setsu was born and raised in a pastor’s family in Kishiwada, Osaka. From the time she was 15 years old and her family moved to Hawaii, she has lived in the U.S. She was involved in evangelizing international students as a high school student and went on to study at Fuller Seminary, rededicating herself to the Lord during Urbana 90. She was led to JCFN where she has been a full-time staff worker since 1994. She married Masaomi Shimizu in June, 2011. No two cultures differ quite as much as American and Japanese culture. It’s no wonder why Americans and Japanese have such a difficult time understanding each other. This presentation, based on Nancy Sakamoto’s Polite Fictions , attempts to bridge the gap by getting to the root of our cultural misunderstandings. Seminar materials will cause you to think and will begin to break down the wall of frustration you might have in trying to understand your Japanese/American counterpart. Bio: Darien served as a missionary to Japan for 15 years working as a teacher and assisting with church planting. He has a Biblical Studies degree from Bethany University and a Masters degree in Linguistics from University of Surrey. Darien lives in Northern California with his wife and daughter where they own and operate Monarch Christian Schools. Taro brings a special perspective to the American Business World. A devout believer, he is constantly looking for ways to share his faith and still keep within the confines of the Law. Living as a Christian in a secular Business environment brings its own challenges. Taro brings with him a history of over 25 years of experience from which to draw and will share some of these experiences with the focus of bringing a balanced perspective on how to avoid the pitfalls and find a smart, uncompromising way to build a business as a Japanese Christian, and serve God at the same time. Bio: Taro was born in Kyushu. He was virtuous, carefree, radical, and was forever being sent home from school. At age 15, with the money Taro saved from doing his paper route, Taro’s father decided to move to America. In 1987, Taro’s parents opened a modest Japanese restaurant called “Mikuni” in Sacramento, California, to provide a living for the family. More than twenty-five years and several locations later, Mikuni is one of the most successful restaurant businesses in the region. Sushi chef Taro Arai is imaginative, inventive, personable, unpredictable, energetic, eclectic, and even a little bit outrageous. He’s one of the hottest and most renowned sushi chefs to hit the restaurant scene. Bio: Tetsuya was born and raised in Yokohama, Japan and came to know the Lord in Chicago in 1987 while working for the Japanese Government office. He has been the pastor of the Vancouver Japanese Gospel Church since 2001. He is also the vice general director of Canadian Japanese Ministries. Life transitions can be difficult for anyone, especially the transition from school to the working world. For our Japanese friends there are several more specific challenges that they will face as they prepare to enter the workforce in Japan. In this seminar, we will explore what some of these challenges are and how we can specifically help and support them as they prepare to return. Bio: Garett is a fourth generation Japanese-American born and raised in Seattle, Washington. He became a Christian in high school. After graduating from U of Wash, he began working at Microsoft and later transferred to one of the Tokyo offices in Japan. After two years he returned to Seattle and Microsoft. He looks forward to sharing experiences and challenges working in the business world both in the U.S. and Japan. There are many international students and working holiday visa holders in Vancouver. How can we reach them for the Lord? How can we help them to grow as mature Christians, so that they will connect to a local church when they return to Japan? Bio: Mari was born and raised in Chiba, Japan. She graduated from Tokyo Christian Theological Seminary in 1997. In 2001, Mari and her pastor husband, Ted, came to Vancouver Japanese Gospel Church where she is an assistant pastor. She is the mother of three boys and a girl. Looking at some of the particular issues for Japanese Christians that need to be given special attention in order to help them grow into healthy followers of Christ. Truth and Harmony; Sensitivity in personal relationships; Confidence as a believer in society; Mentoring and training to serve etc. Bio: Tony and Pat have been serving with OMF since l972. In 2010 they retired from Japan, and are now working part-time as Associate Pastors with the Vancouver Japanese Gospel Church. They also keep involved in OMF events, and enjoy being available to help with their 4 grandchildren. Friendship evangelism has been known to be a normative evangelistic approach with the Japanese. Meaningful friendships cannot be established without listening. The participants will learn simple but effective listeing skills. 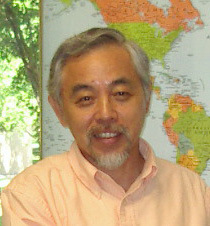 Bio: Ken, MFT is a professional counselor on the staff of Asian American Christian Counseling Service (AACCS). He has had extensive experiences in Christian ministry in Japan and the US. Recently he has been conducting “listening seminars” in Japan and the US to teach Christians how to listen effectively and to use listening as a tool for personal evangelism and discipleship. Bio: Hiroshi became a Christian during his third incarceration in Japan. It was at the beginning of a nine year sentence. The Lord has changed his life and has led him to start a new ministry called “Mother House” to help other ex-prisoners. “All I want is for him or her to accept the Lord! !” Really? Biblical evangelism is not a ‘one-time’ event, but part of a continuous ministry. We will look at the Great Commission and think what kind of evangelism will bear fruit in the big picture of God’s salvation plan. Listen to an interview with Rocky and Marla here!